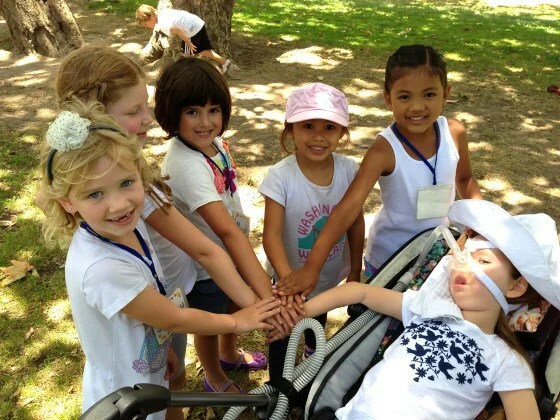 All for one and one for all: Gwendolyn and friends playing together on a school field trip. 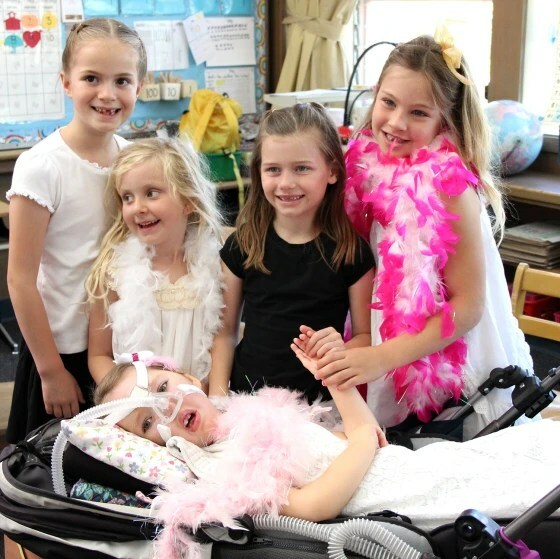 But the children at Gwendolyn’s school had some lessons to teach about love, acceptance and the power of friendship. 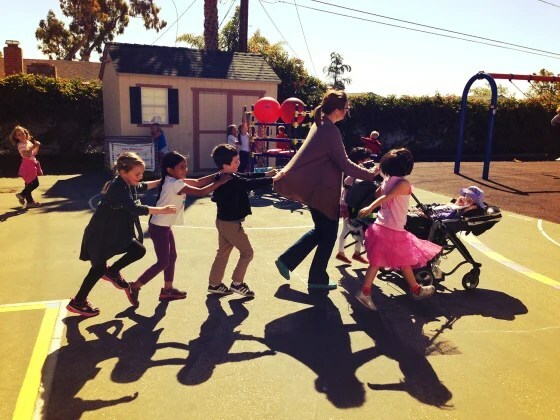 Gwendolyn walks to class in the morning with friends. First grade musical, “Jack and the Beanstalk.” Gwendolyn played the goose that laid the golden eggs. Gwendolyn enjoys recess games with her friends. 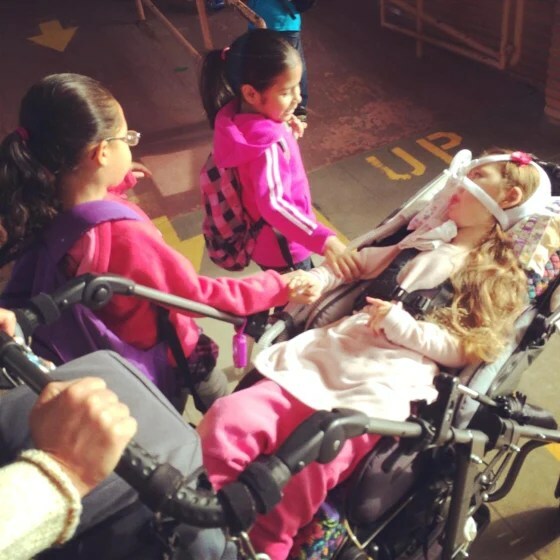 In August, Victoria Strong and her husband, Bill, drove Gwendolyn to Los Angeles to meet Miabella and her mother for the “Girls’ Day” outing — something Victoria said she never could have imagined, after Gwendolyn’s diagnosis, when doctors warned the Strongs that their daughter might not survive a full year. Gwendolyn, with her parents Victoria and Bill Strong. 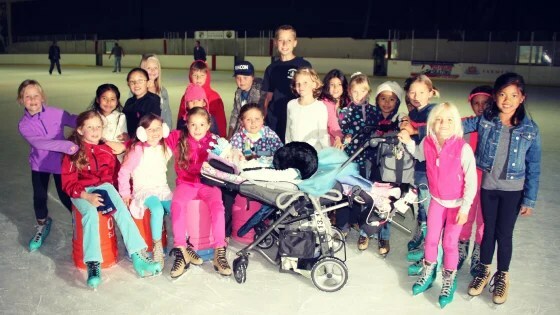 Gwendolyn’s 7th birthday party was a Frozen themed ice skating party with her friends. 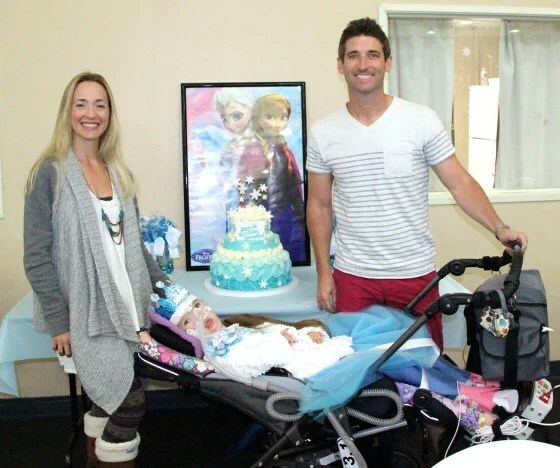 Last weekend, the Stongs did something many parents do: they celebrated their daughter’s birthday — with a “Frozen” theme, of course, and a cake and school friends and a glittery crown for the birthday girl. 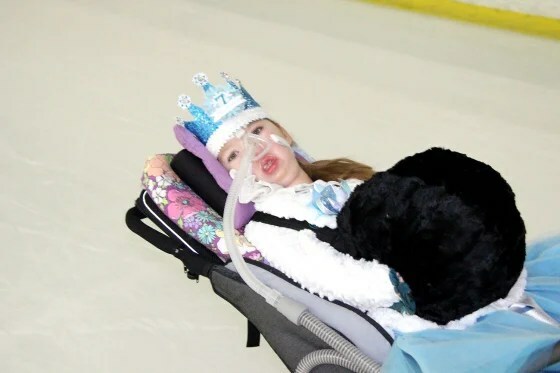 Reaching age 7 is a big deal for a child with SMA, and one of many milestones her parents are grateful to have experienced.